Dear Luke, I miss you so much and am doing all the chores while you are away. Please come home soon. I love you always, your wife Bessie P.S. It’s okay by me if you vote. 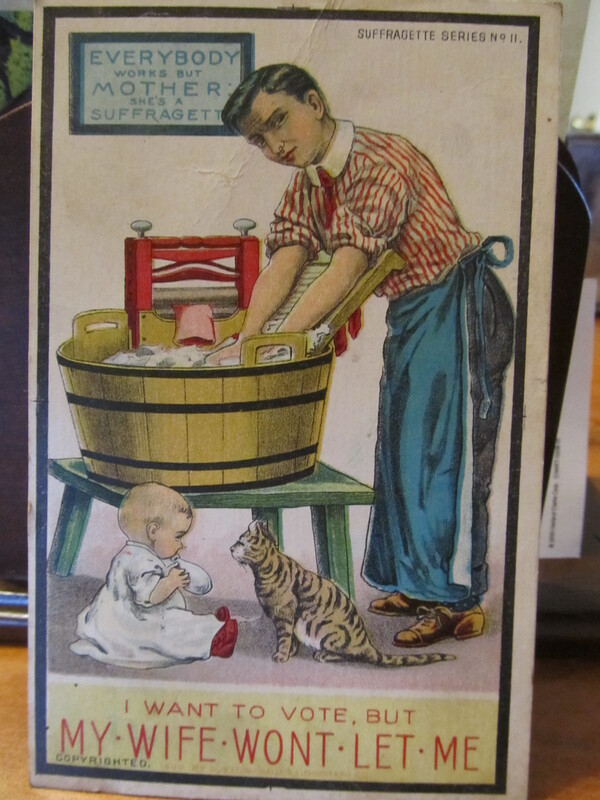 This entry was posted in Humor, Life, photography and tagged picture post cards from the early 1900s. Bookmark the permalink. This is great! Did T find this through her antique purchasing? She did – I love it when she finds the old post cards! !